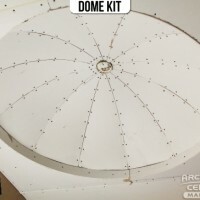 Have you ever seen celebrity homes in magazines or in television shows and wished you could have the same majestic ceiling domes they have in their opulent estates? Well, now you can! 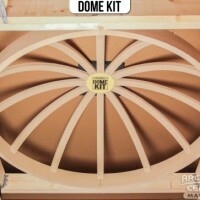 With a ceiling dome kit from archkit.com, you can add a lot of luxury to your property for little cost. Howdy, folks! Salesman Wes here. 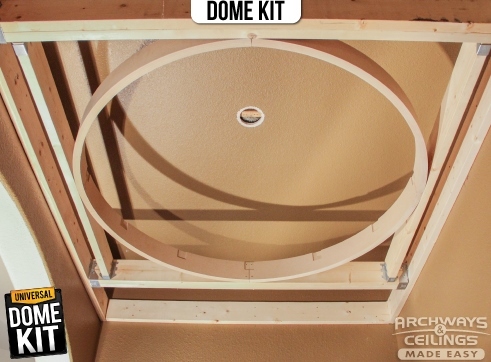 I want to tell you a little bit about one of my favorite products: ceiling domes. 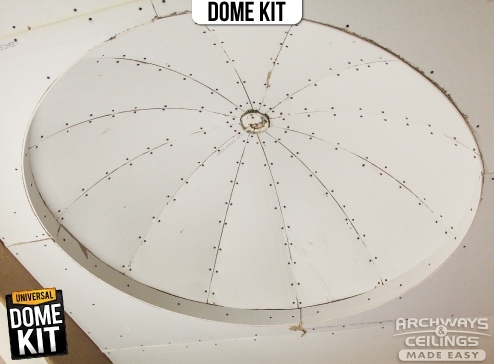 You see, architectural domes have been around for centuries – that’s a long time. 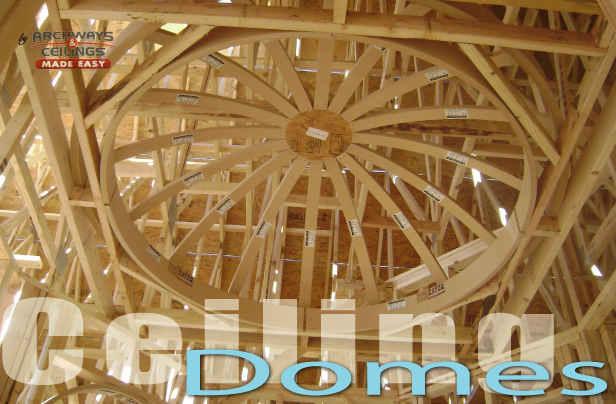 And for centuries, ceiling domes have been associated with splendor. 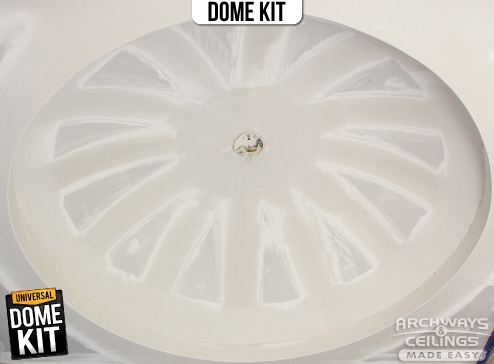 From the corbel domes of the ancient Middle East to the umbrella dome of St. Peter’s Basilca in Rome: domes represent architectural grandeur as they dramatically take up most of a ceiling’s space, regardless of the size – making the void visually stunning. 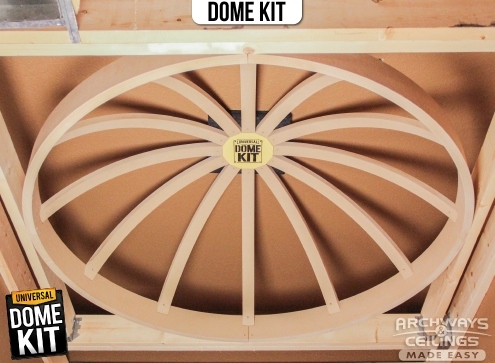 I bet you didn’t know you were going to get a little architectural history lesson, right? Here’s the best part! You don’t have to be a PRO. 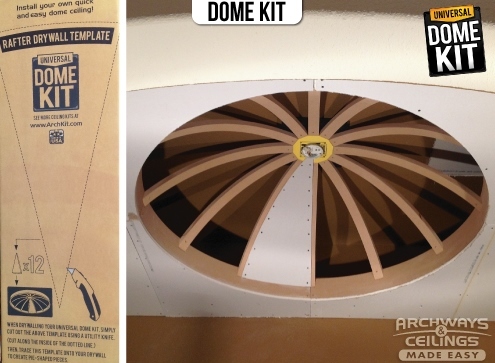 We’ve designed our ceiling domes to be DIY friendly. 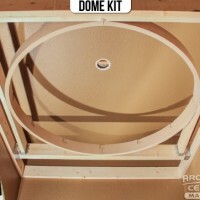 My brother and I are average DIYers, and we put the below Universal Dome Kit in his entry. As you can see, no demolition. 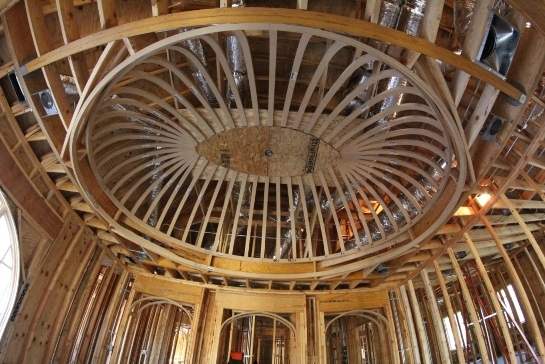 We simply framed it in over the drywall and below his ceiling. 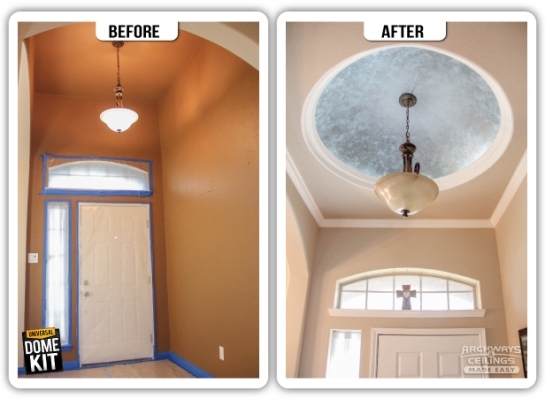 Just imagine how impressed your friends will be at your next party (PS, don’t worry, I won’t tell them how easy it was to install). 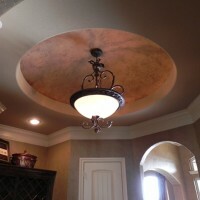 When your friends arrive and you open the front door, be prepared to catch them, as they may stumble when they gaze upon the new ceiling dome gracing your foyer. 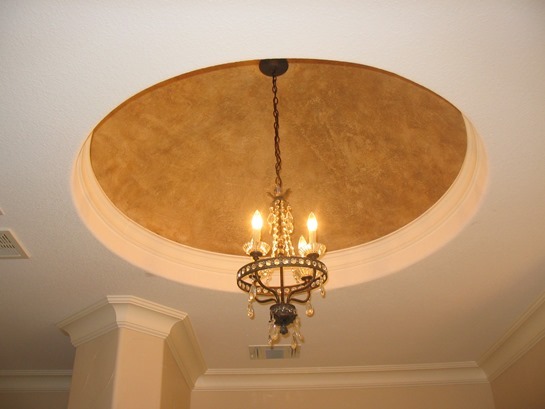 Your friends will forget about the once lonely chandelier – that used to hang in a sea of empty space – when they are captivated by the majesty of a soaring ceiling dome that immediately commands the eye upward, following its perfect curves. Come to think of it, you may want to keep a fainting chaise near your front door. You know, those Victorian era couches with only one side of the couch with a raised back that women used to rest on when they felt dizzy and faint. 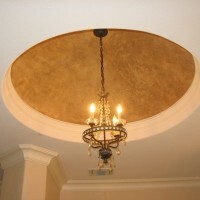 Yes, the ceiling dome will be that beautiful and your friends will surely want one in their house, too. 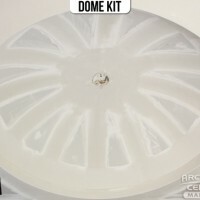 So get going and order your dome ceiling kit now! 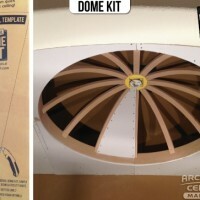 And when you’re done, don’t forget about all the little people who helped you along the way – your ceiling domes guru (me). Go ahead and send me your before, during, and after pictures so I can show them off here! Wesley Scott, aka Salesman Wes, isn’t your typical sales guy. He’s neither the used car salesman nor the up in your face over the top aggressive sales pitch guy. 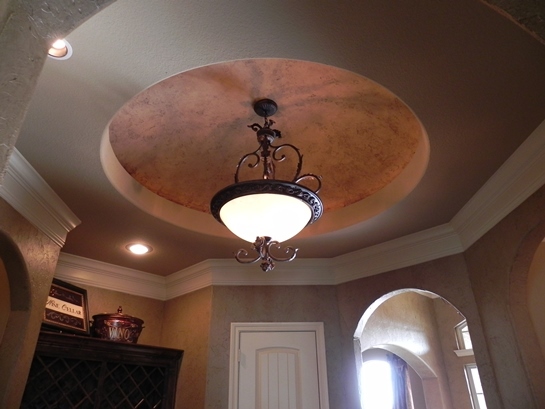 He’s more of a friend that’s trying to help you achieve the curved archways or ceiling designs you have in your head. Once you work with him you know that he’s not going to sell you something that won’t look good. 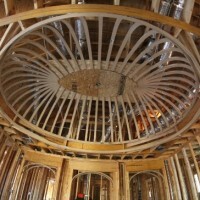 He’s passionate about his projects and sincerely wants his customers to succeed and surpass their competition. 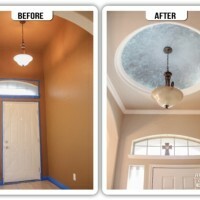 ← Cove Ceiling Design Could Truly Be The Hottest Thing For Any Season!